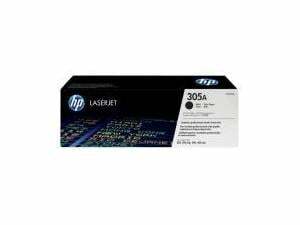 HP 305A Black LaserJet Toner Cartridge makes documents and marketing materials look professional. Maintain productivity by avoiding wasted time and supplies. These cartridges are specially designed for your HP LaserJet Pro printer. Make a professional impact by printing rich text documents and marketing materials. The gloss of Original HP LaserJet toner delivers crisp black text and greyscale graphics, for business-quality results on a wide range of laser papers.